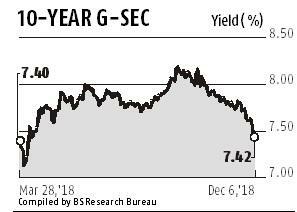 Bond yields fell to an 8-month low and volumes surged to the highest in more than a year, reflecting a revival of bullish spirits in a market emerging from a year-long sell-off, after the central bank signaled it may keep buying debt for four more months. Turnover surged to Rs 883 billion ($12.4 billion) on Wednesday, the highest since June 2017, as the Reserve Bank of India added to the cheer by cutting its inflation projection at its policy review. The benchmark yield slid to a new eight-month low of 7.42 per cent as against previous day's close of 7.44. 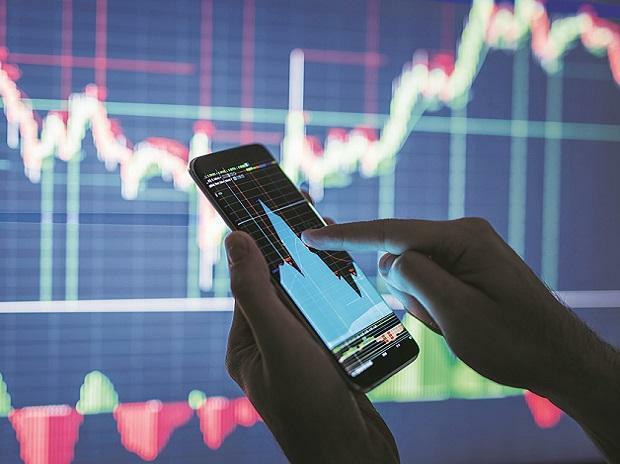 The plunge in oil prices, the bugbear for the nation’s trade deficit, from a four-year high reached in October along with the RBI’s debt-buying support, have turned the tide in the nation’s bond market that had bled for five quarters amid concerns of the government missing its budget targets. Benchmark 10-year bonds are now set for their first quarterly advance since June 2017. Experts are now also calling the RBI to cut key policy rates. In a note, foreign brokerage Bank of America Merrill Lynch said it expects the monetary policy committee (MPC) to cut rates by at least 25 basis points (bps) early next year. “We expect the RBI MPC to roll back at least 25bps of the 50bps FYTD rate hike in either February or April, with inflation risks expectedly overdone and growth slowing in 2HFY19 as base effects fade…Our liquidity model suggests that it should step up to Rs 500 billion a month in the March quarter pushing g-secs into excess demand,” said Indranil Sengupta, India Economist, Bank of America Merrill Lynch in a note.